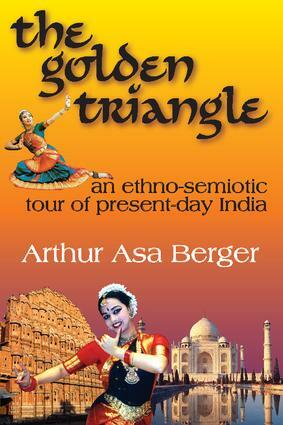 This book offers a semiotically informed ethnographic study of contemporary culture in Rajasthan and India. It adapts the methodology of analyzing cultures found in Roland Barthes' semiotic portrait of Japanese culture, "Empire of Signs", but adds an analysis of lifestyles as explicated in the work of social anthropologist Mary Douglas, political scientist Aaron Wildavsky, and a number of other social scientists. This manuscript is, at first, a guide to Rajasthan and India, and it is that but it is also more in that it considers tourism from both an anthropological and sociological level.Berger begins with statistics on tourism and other aspects of life in Rajasthan and India, and then considers how tourism in India compares with tourism in other important tourism destinations. He refers to the "Imaginary India" as the picture created in tourists' minds with the help of guidebooks, media, and the Internet before they actually travel to India. He then discusses these representations and how they are actually different from the country itself. The trip itself then becomes the search for the authentic India - the goal is to find places before they are discovered. He calls this "Semiotic Rajasthan," where the representations are compared to actuality.After offering a discussion of semiotic theory, it interprets and analyzes a number of important aspects of Rajasthani and Indian culture such as: the Taj Mahal, the Palace of Winds in Jaipur, the notorious rat temple in Deshnok, and sacred cows. Lastly, he discusses his own trip and how the impact of Rajasthan did not fully register until he returned home.This manuscript's strength lies in the author's ability to write in an accessible manner, assemble the project in an interesting way, and include only that information which will guide the reader along the narrative trail. While this manuscript really is a guidebook to Rajasthan, it could also serve as a good introduction to ethnography for beginning students and an interested general audience. It moves from basic explanations, such as that of semiotics, to complex applications all with the grace of good story telling.